A legal right or entitlement that is in progress and is neither ripe, vested nor perfected. In reference to a claim in law, or an entitlement, that has not yet vested. "Inchoate legal interests are those which are in their beginning or preliminary stages and which will mature or develop into a full property right." Inchoate can also refer to a legal right or entitlement such as title to an item of property that is as yet only partial and incomplete; unfinished and imperfect. 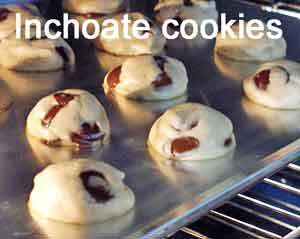 An inchoate interest is contingent on some event such as an appraisal or valuation. A person's interest in property as set out in a will is inchoate until the death of the testator. The interests of the remainder in a trust is inchoate as it must await the completion of the trust. An inchoate interest can be barred or otherwise extinguished before it comes to fruition.